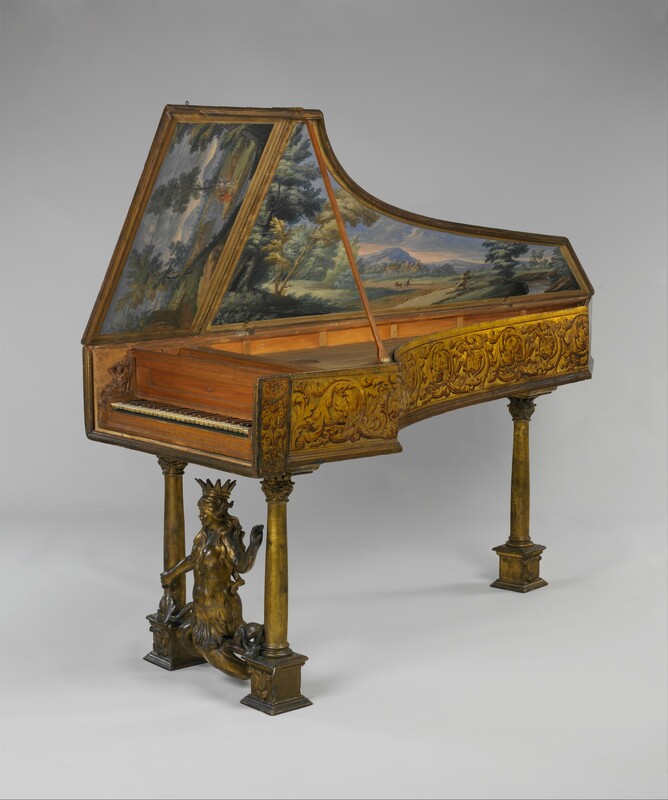 This harpsichord has three sets of unison strings, one of which is plucked at a point very close to the nut, producing a brighter timbre than the others. The mermaid holding one of the supporting columns is a device of the Colonna family. The painting inside the lid is a landscape that includes a hunter and his dog. On the lid above the keywell is a scene depicting Tobias and the angel Raphael. The conventionalized foliage and the aerial perspective are associated with the work of Gaspard Dughet, brother-in-law of Nicolas Poussin, who painted chiefly in Rome.